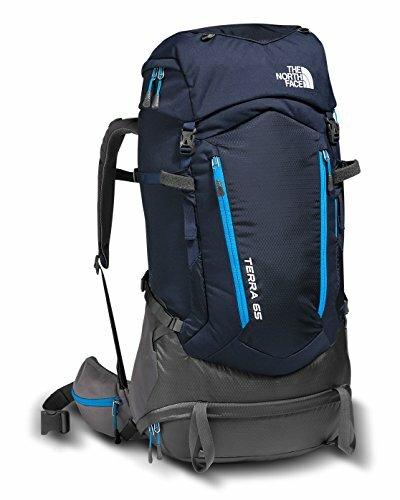 Don’t go searching high and low for a good survival backpack if you don’t even have the basics on what it should be like or what features it should have. 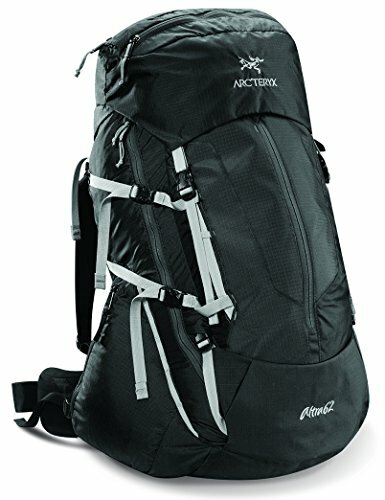 What to look for on a survival backpack? As you want to be able to move very easy, a survival backpack has to be lightweight, more than anything else. This doesn’t mean it should the lightest out there, as you still need it to be with an internal frame. The internal frame is essential on a survival backpack as it transfers the load to your hips and ensures amazing load-support. Comfort is also very important when trying to stay alive and you can’t do that if you’re all sore and struggling with some back or shoulder pains. 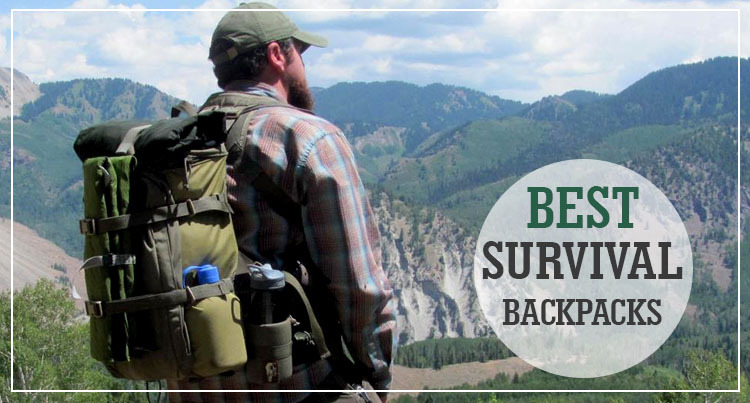 Your survival backpack has to come with well-padded shoulder straps and a hip belt also. They are all going to take the strain off your shoulders and back, balancing better the weight of your load. A good survival backpack has also to be waterproof as last thing you want when fighting for your life is to have some important gear all wet and ruined. It wouldn’t hurt to be extra careful though so you may also take a backpack that features a rain cover as well. As for the size of your backpack, we let you decide which is the best for you. The more gear you want to carry, the bigger your pack needs to be. Go for a 30-50L capacity on a 3nights trips and for 70+L if your’re going for a longer trip. Last but not least, your survival backpack has to present efficient ventilation. You do need to remain dry and fresh all day long, right? It goes without saying that, for the money you’re paying for the Mountaintop 40 Liter Hiking Backpack with Rain Cover for Outdoor Camping, you can’t truly have expected to be the most durable survival backpack. But this doesn’t mean that the pack doesn’t manage to impress with its performances, on so many levels, either. The backpack is made with good quality materials and comes in nice colors too. It features no less than 6 adjustable straps, so you may use them for tying up your pack or your hammock, tripod, mat or a sleeping bag. 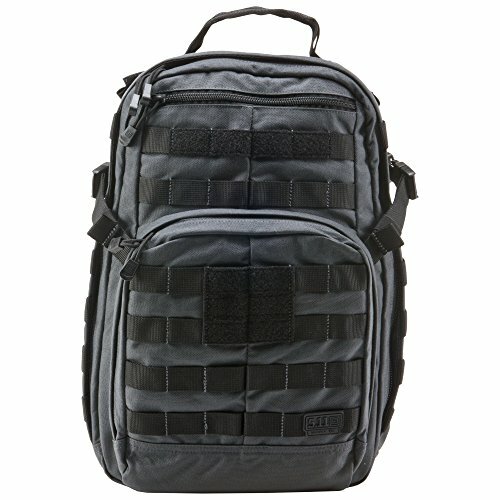 The organization is quite surprising too and the pack features a computer compartment that may accommodate even a 17” laptop. The front pocket has an internal mesh pouch. Even though the backpack doesn’t come with a designated bladder space, this doesn’t mean you can’t use one of its compartments for the bladder and one of the holding places for the tube. The backpack also features a hip belt that is easy to adjust for the best fit, but you can’t entirely remove it. The shoulder straps are well padded and present D-shape hook so you may attach some smaller gear. they have an S-shape design which makes them nicer to feel. The back panel is made with breathable, molded foam and the backpack is very comfortable. The front adjustable straps are useful also and you may hang some trekking poles to them. The backpack is well made and comes in so many pretty colors. As long as you realize its limits, we’d say you’re not going to end up with a lemon when getting the backpack. 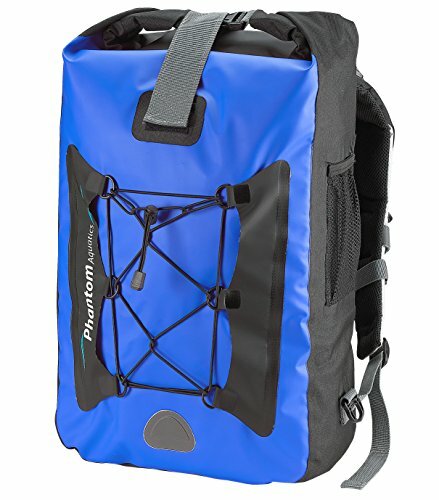 When you want a waterproof survival backpack but you’re not quite ready for the big spending, take a leap of faith with the Phantom Aquatics Premium Waterproof Backpack Dry Bag. The roll-top backpack is 100% waterproof and it floats safely when dropped in water. This build helps you protect your belongings from dust, dirt, sand, and water. The organization isn’t poor and the pack actually comes with a large internal zip pocket, a comfortable back panel and large outer elasticated mesh side pockets. A top carry handle makes it highly portable and versatile, as well. The elasticated front webbing adds more options to attach some gear. The build of the pack is impressive and we need to mention the “one-of-a-kind” High Frequency welded construction and the two-way sealing system. The comfort is also great as the backpack comes with well-padded shoulder straps, a sternum strap and a waist belt also. The sternum strap is easy to adjust and the lumbar support is efficient. Additionally, the back panel has good ventilation due to its air-flow design. Let’s not forget to mention the reflective patches on the front and both shoulder straps that make the pack highly visible in poor light situations. Nevertheless, for the little money you’re paying, the backpack is reliable, protective, durable and quite a steal for the price. 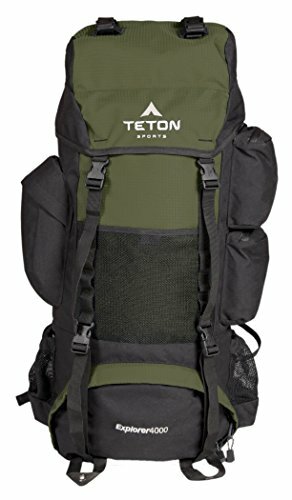 Don’t let the rather low price of the Teton Sports Explorer 4000 Internal Frame Backpack; Great Backpacking Gear; Backpack for Men and Women mislead you as the pack is one of the most popular choices out there and the list of good things recommends it for survival tasks. The design of the pack makes it comfortable for both women and men, whereas its 65L capacity make it a reliable choice on any survival mission. The backpack has an internal frame and comes with side pockets, three mesh pouches and six pockets for other various personals. The capacity is impressive (65L) and the main compartment is very large. It also comes with compression straps so you may always put the load under control. The thick lumber and upper back pads make the backpack comfortable. The torso section is easy to adjust and the shoulder and hip straps minimize the strain on your back and shoulders. The straps are well padded, come with tensioners and they breath pretty efficiently. The molded channels on the padding and the open-cell foam lumbar pad explain the comfort and the breathability. The backpack comes with a 3L water bladder and we all know how this is essential for a survival backpack. The construction of the pack recommends it for the intense use and the materials are tough and durable. The pack is made with 600D sq. rip stop fabric and 600D Oxford Canvas shell, which explain its durability. The list of features also includes a rainfly and a large sleeping compartment, which may seal the deal for many. Despite the minor issues, the backpack still stands as a good choice when in need, especially if you’re going shopping on a tight budget. No matter where your survival mission takes you, we don’t see any reasons for you not to put your trust and faith in a backpack like the 5.11 Tactical Rush 12 Back Pack. The backpack is highly versatile and you may use it when hiking or out in the field- the choice is yours at it can do so many. The organization may be its strength and you get no less than 16 individual compartments for you to organize your personals. 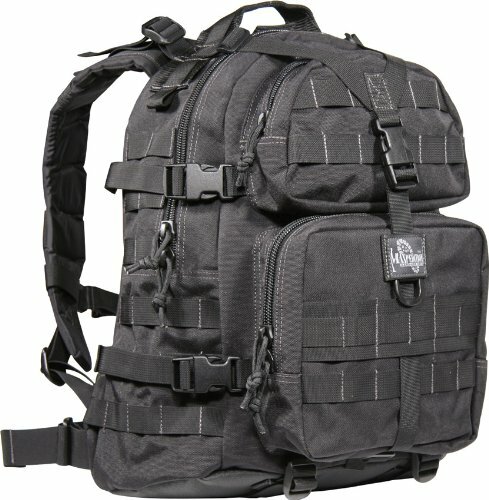 Additionally, the pack comes with an efficient Molle system so you may always win some extra carrying options. Don’t forget about the Molle loops, just in case this isn’t enough for you. The build adds on the list of good things and the backpack is very well stitched, leaving a durability feel. The zippers are tough and slide easy every time and their pull tabs are glove-friendly. The backpack comes with a hydration bladder pocket and a carry handle that makes it easier to carry around and more versatile. The handle is also tough and takes the intense use. the 4 lashing points on the pack make it better for all sorts of situations. The comfort is also great and the backpack comes with an internal sheet frame that increases your comfort. You may also carry your 12” laptop thanks to the internal frame sheet, by the way. The contoured yoke shoulder strap system increases your comfort, too. The backpack comes with adjustable sternum strap, waist belt and two external compression straps that help you control better the volume of your load. The sternum strap is attached with C-loops that you may easily reposition and remove, higher or lower on your shoulder. The buckles on the shoulder straps are Dura-Flex side release, giving you speed when out on the field. The zippered fleece-lined eyewear pocket may be the cherry on top, but it’s the waterproofness that may seal the deal for some. As you can see for yourself, the backpack is filled with great features and is a sure buy, no matter what. All things considered, for the impressive features and build, we’d say you should put your money at stake with this one anytime. Don’t let the rather small size of the Maxpedition Condor-II Backpack mislead you as the pack is going to be very reliable in many survival jobs out there. The backpack is very well build and is actually expands very well, offering you so much space for your things. The stitching is very well made and the pack leaves a durability feel. The fabric is heavy duty and water resistant so the pack takes a few splashes and the intense use. the zippers are also tough, matching the resistant build of the backpack. The capacity is good for a survival situation, which is 21L. even when fully loaded the pack still feels lightweight and comfortable, though. The organization is efficient and you may stash all your essentials in the big compartment and the multiple pockets and pouches. Additionally, the pack comes with many attachment points for molle so you may attach even more gear. The backpack comes with a waist strap that takes the pressure off your shoulders and back. It also comes with a water bladder and you may even carry your 17” laptop in it. The construction of the backpack is truly one of its strengths and the rubberized bottom increases its durability, for sure. Regardless of the minor problems, the backpack is still a dependable choice for many experiences, including the survival ones. Offering great organization for your belongings, the Terra 65 Backpack is going to make a lovely surprise to many, especially after checking its price tag. The backpack is well made and comes with Opti-Fit suspension system that ensures your comfort when on the move. The shoulder harness is anatomical and has a good design, whereas the mesh channel on the back panel keeps you cool and dry all day long. The hip-belt is not only lined with soft tricot for a nicer feel, but also improved as it presents an anatomical new design. It’s load-spreading and minimizes strain on your back and shoulders. The backpack features a zip side-entry main compartment and organizes your things in its 7 pockets. It offers easy access to your sleeping bag as well. The materials are good and the pack is made with 600D polyester that combines with 420D nylon mini-rip stop fabric. This means the backpack may take a few splashes and protect your gear on a light rain also. Fitting well and giving plenty of space for your items, the backpack is a nice surprise for many. All in all, the backpack is dependable, comfortable and well organized, which may be enough for some. 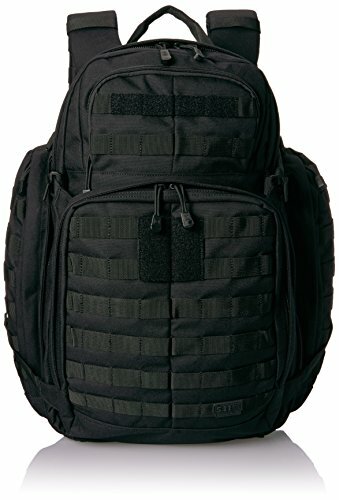 For those of you that seek a survival backpack for the out on the field situations, a really tough and dependable choice would be the 5.11 Tactical Rush 72 Backpack. The backpack is made with nylon and it’s full-featured for a 72hour mission. It’s quite versatile though and you may use it for the recreational activities or as an operational bug out bag. The design of the pack is great and not only it comes with an internal frame for more and better support, but it also gives so many options for an efficient organization of your personals. You may store your items in the dual-zippered front and main compartments. It’s very easy to access and the molded grip pulls make the use a breeze. You also get to use admin organization pocket for your pens, documents or some maps. Let’s not forget about the Molle attachment points that allow you to add even more gear. No worries about remaining without water as the pack also features hydration bladder pocket. The bladder is placed on the suspension side of the pack and may accommodate as much as 100oz. Camelback bladder. The backpack comes with tough zippers that never get stuck and run smooth. The rugged build of the pack makes it able to carry even 40 pounds. The shoulder straps give a great fit and have a wide design. The loops on the bottom and the shoulder yoke are helpful also. Well-made and practically build like a tank, the backpack gives amazing organization and takes all sorts of challenges out there. All things considered, for the versatility, good organization of your personals and tough built, the 5.11 Rush 72 shouldn’t be missed on if ever in need. If you’re avid enough of a hiker that you’d pay the extra buck for a good survival backpack, put your money at stake with the Osprey Men’s Atmos 65 AG Backpacks. 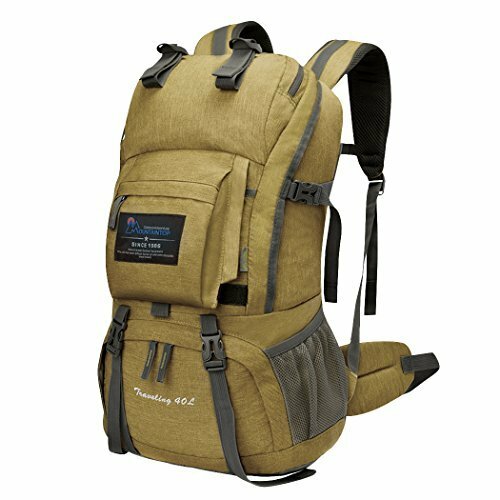 The backpack is very popular among many hikers on the Pacific Crest Trail and it’s not only because it’s an award winner, for sure. What makes the backpack stand out is the Anti-Gravity suspension system that consists of the seamless back panel and the light mesh that is placed all the way of the pack, from the top to the hip belt. The backpack contours to the shape of your body and it’s highly customizable. You can definitely set the right length to the pack using the Fit-on-the-Fly hip belt. The hip belt has a great design and simply hugs your body, improving the balance of the weight and taking it into the hips. No worries on the organizing options as the backpack features five exterior zippered pockets and three slip pockets. The top lid design gives you easy access to the main compartment. We also notice a zippered front panel and the removable and floating top lid. You can also always protect your belongings by using the flap jacket. The backpack also comes with pockets for your water bottle. As a matter of fact, this pocket has a great designed and it’s angled so that the water bottle doesn’t fall while you’re on the move. The stow-on-the-go feature of the pack lets you attach your trekking poles, whereas the internal compression straps give you control over the load. On top of everything else, the backpack is made with long lasting materials and has a durability feel to it. Nevertheless, as long as you’re ready to pay a bit more and get one heavy-duty survival backpack, your money is safe with the Atmos 65. For the avid woman hiker that is really up for the big game, a serious and sure investment to make is definitely the Arcteryx Altra 62 Backpack – Women. Not only the backpack is really well designed and made, but it also looks very nice, so finding its blind spots may be a challenge even for the pickiest customer. Made with rip stop nylon and mesh, the backpack presents a composite construction, whereas its suspension system helps you carry at ease even the heavy loads. As a matter of fact, the backpack is comfortable even if your load is heavier than 40 pounds. The Twin 6005 T-6 extruded aluminum stays help the backpack being so supportive and the pack is anatomically shaped, for increased comfort. The shoulder straps aren’t just well padded for minimizing strain or your shoulders, but also easy to adjust thanks to the GridLock adjustment system. The pack also features a modular sternum strap that keeps the pack closer to your body. The hip belt is made with Thermoformed triple-density and lowers the effort on your back and shoulders, carrying the weight into the hips. The design is very well thought out and the attention to details help the pack stand out. For instance, the occipital cavity in the pack that lets you move your head as much as you want when on the move. The padded compression wings give you more storage space and the stretch-mesh stash pockets to the same. As any survival backpack should do, the Arcteryx62 also comes hydration ready and it features a HydroPort opening and an internal hydration pocket with zip flap. The list of good things continues with the laminated zipper protector, the reinforced high wear zones and the top handle. The packs aren’t just heavy duty and made to take a beat, but also very easy to carry around. For the great design, shape, impressive list of features and nice appearance, the backpack still is quite a winner for any woman hiker. 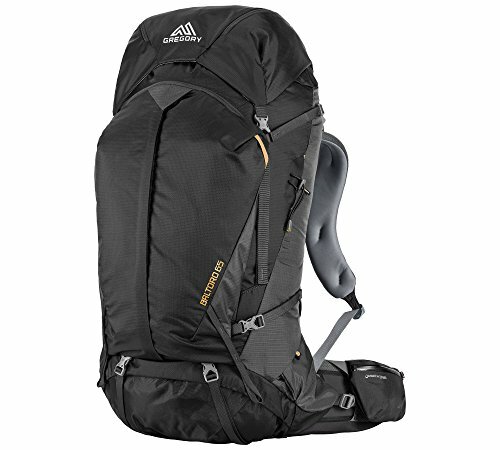 Winner of the Backpacker Magazine’s 2015 Editor’s Choice Gold Award and the Outside Magazine’s 2015 Gear of the Year Award, the Gregory Mountain Products Baltoro 65 Liter Men’s Multi Day Hiking Backpack is one survival backpack especially designed for the men hikers. The build and materials used on the backpack are some of the things to begin with and the pack is made with 210Dnylon and 420HD nylon, which increase its toughness. The comfort is great as the pack is made with Response A3 suspension system for increase balance of your weight. The back panel is comfortable and breathable. The lumbar tune insert isn’t difficult to remove, but the 10mm insert ensure a customizable contouring of the back panel. The design includes pre-curved foam elements and the backpack comes with a QuickSwap 3D interchangeable pre-curved LifeSpan EVA foam harness and hip belt. The backpack comes in different sizes, for the best fit. It also comes with a SideKick removable daypack that is lightweight and versatile as you may use it as a hanging reservoir sleeve. It’s quite easy to use the backpack as it has a top-loading design, presenting U-zip panel access. You get plenty of storage space for your items and the Double Barrel lid design features two zippered pockets on top. Save the security pocket underneath for the more valuable items, though. The backpack comes with a SideWinder bottle holster that is easy to stow and functional. It also comes with a removable rain cover that is placed in its own zippered pocket. The material feels soft and smooth, even though it’s tough and resistant. No matter how you put it though, for the strong build, great features and amazing comfort, the backpack is in the end money well spent.